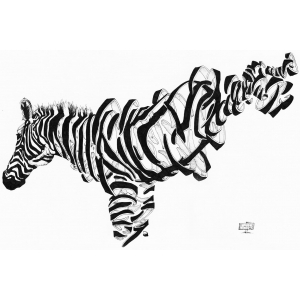 From humble beginnings copying comics in the playground in Tilbury Essex, Damilola's art has evolved as he has become successful in web design, graphic design, dance, fashion, illustration, and fine art. 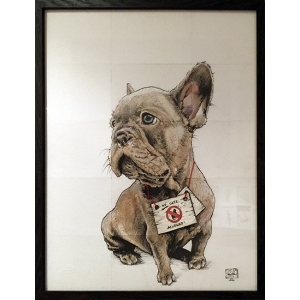 Since moving to London, the city buzz provides him with ‘ammunition’ for his art. 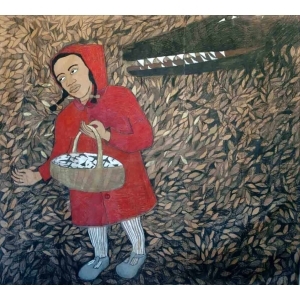 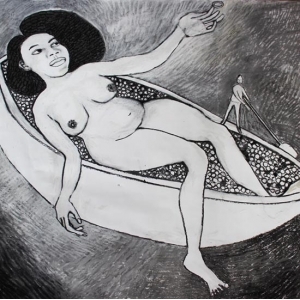 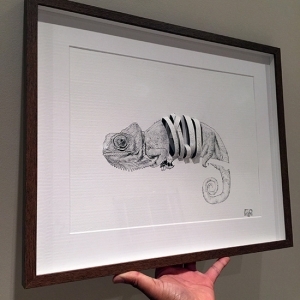 Damilola is very prolific and produces his art straight to paper from images in his head. 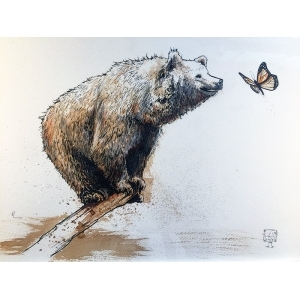 Quirky and exquisite details are the hallmarks of his signature artworks, as are his incorporations of unusual materials into his works. 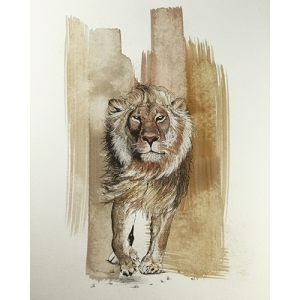 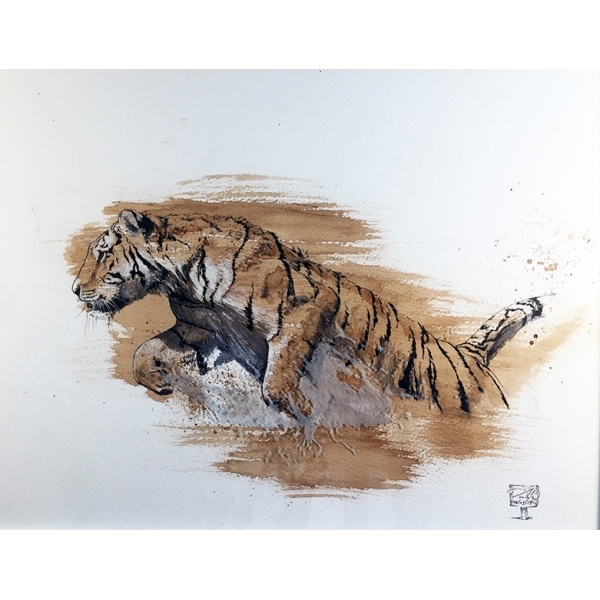 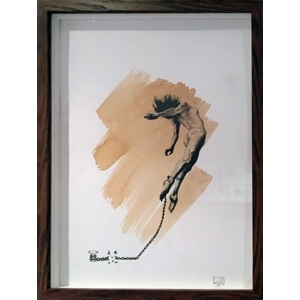 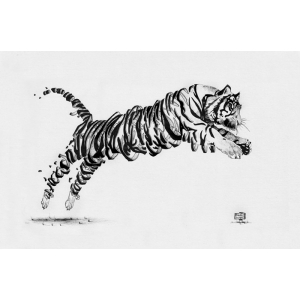 ﻿Tiger Splash is a pen and ink drawing on coffee stains in a frame with engraving on the glass.